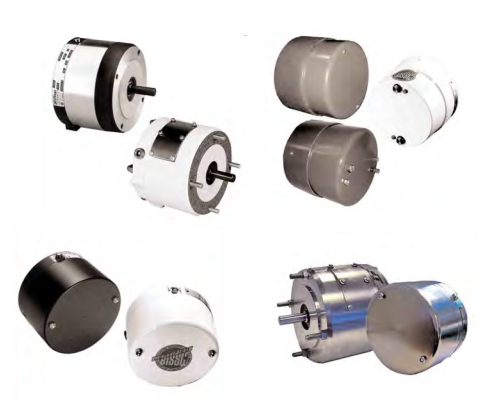 Dings brakes operate on a very simple principle: While the motor is running with power engaged, an electromagnet within the brake pulls back the pressure plate, allowing the friction discs and motor shaft to rotate freely. When power is cut to the motor, the electromagnet releases, instantly stopping the rotating discs and preventing the motor shaft from turning. This direct acting design has only one moving part with no complicated linkages to break or fail.